We do not charge extra to record the heartbeat. Please call us to schedule this or have us record baby’s heartbeat during your existing appointment. Animal sectional is based on availability. If there is a certain animal you would like feel free to email or call us and we can let you know if we have it. Above are animals we normally have in stock. 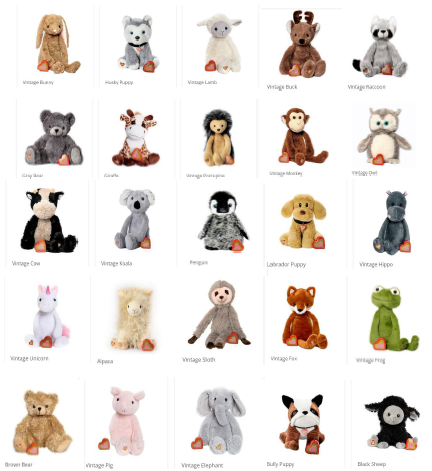 Visit https://www.mybabysheartbeatbear.com to see all the animals and please let us know if you have any special request.